Bring the benefits of code review to your operations workflow. Catch errors in the Terraform plan output before it's applied. Ensure that you apply changes before merging to master. Empower your developers to write Terraform. Safely. Developers can submit Terraform pull requests without needing credentials. Operators can require approvals prior to allowing an apply. Pass audits without compromising your workflow. Each pull request now holds a detailed log of what infrastructure changes were made and when; along with who made the change and who approved it. Atlantis can be configured to require approvals on every production change. 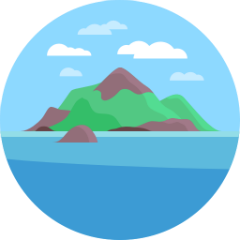 Used by one of the world's top companies to manage over 600 Terraform repos with 300 developers. In production use for over 2 years. Atlantis is self-hosted. Your credentials don't leave your infrastructure. Runs as a Golang binary or Docker image and can be deployed on VMs, Kubernetes, Fargate, etc. Listens for webhooks from GitHub/GitLab/Bitbucket. Runs terraform commands remotely and comments back with their output.